The fact that this is printed by machine is reflected in the price on this canvas. Still the art is undeniable. 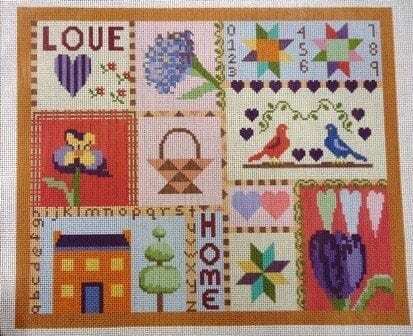 This sampler reflects the love of home and includes hearts, flowers, a house, a few traditional quilt patterns and the alphabet and numbers. The borders include squares, triangles, leaves, hearts and lines. 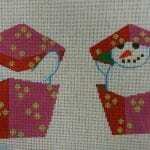 You’ll enjoy using up your stash threads and choosing stitches for each area. 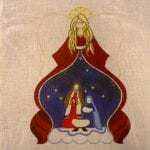 Printed on 18 ct. canvas, this measures approximately 11 x 9″. 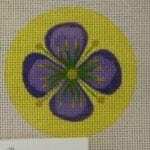 SKU: 1609-E1114-B3 Categories: Painted Canvas, SALE!